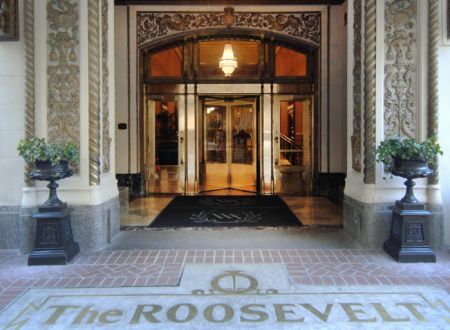 The Roosevelt New Orleans is no different. It reflects true southern elegance and charm. 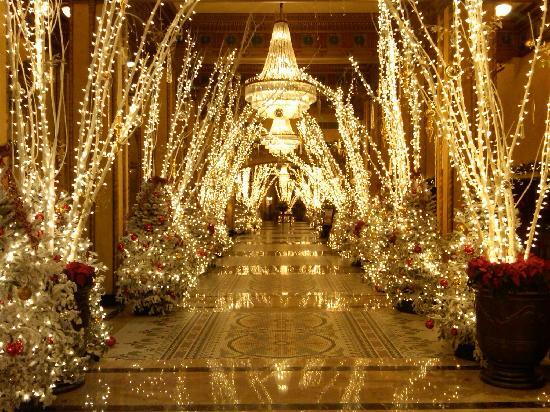 We were lucky enough to be there during the Christmas season and their holiday decorations take your breath away. It is like a winter wonderland without the cold and snow!! Visiting the hotel to see their holiday decorations is a yearly tradition for many locals and people come from all over just to take pictures and ooooo and ahhhh at the thousands of twinkling lights. The inside at Christmas is completely amazing! The last time we visited we stayed in the 1 bedroom luxury suite. It has a separate dining, living room, and bedroom with a king bed. To say it was luxurious is understatement. One of the things I love about Waldorf Astoria hotels is that I have yet to stay in one that is not quiet! This adds to the luxurious vibe, in my opinion. If a hotel is loud and you can hear everything that is going on in the next room and always hear voices in the halls it really ruins the secluded vibe I look for in a luxury hotel. 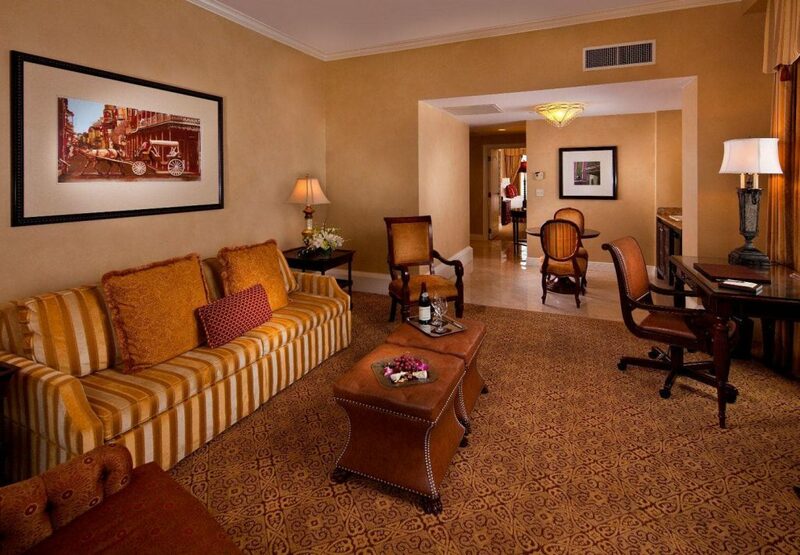 The furnishings feel very french antique which adds to the southern charm of the hotel. The bathroom and amenities were exactly what you expect from a 5 star hotel, as was the bed and linens. My husband and I said we could just stay in the bed for a few days, cocooned in the fabulous linens and pillows and be completely content without even stepping outside the door! It was a little too cold for us to take a dip and hang out at the rooftop pool, but it is a gorgeous space and I can not wait to go back and spend the day lounging with a drink in my hand! They have a great bar and restaurant on the property as well as an award winning spa! I always enjoy a trip to New Orleans, but when I get the chance to stay at The Roosevelt it makes the visit extra special! 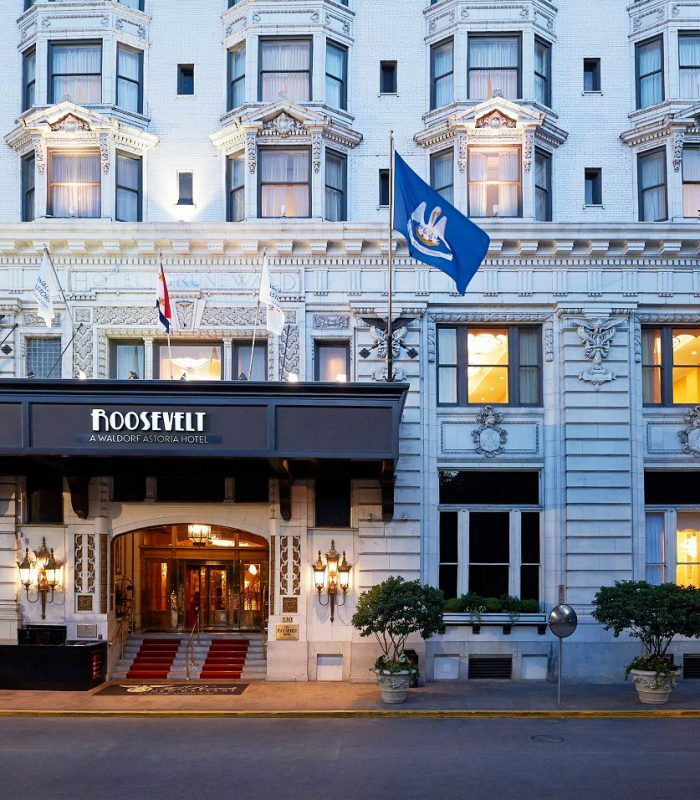 If you visit New Orleans and want to treat yourself to a one of a kind hotel experience stay at The Roosevelt, A Waldorf Astoria hotel and prepare to fall in love! 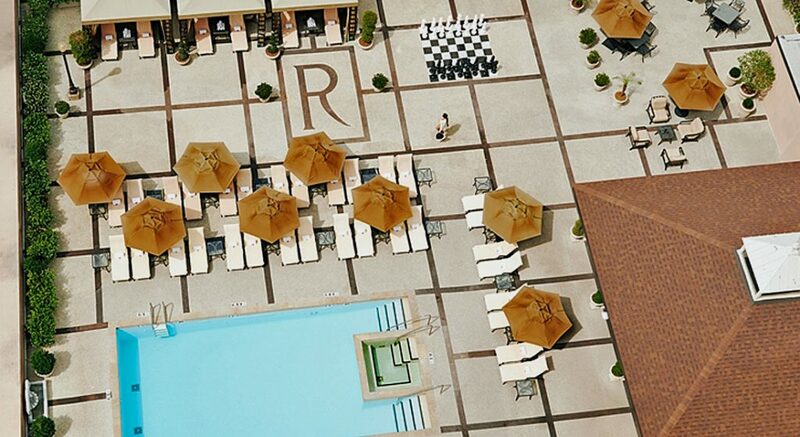 Interested on how to get the best prices if you want to splurge on a luxury hotel? Check out my post, Luxury Hotels for Less. Thanks to The Roosevelt for the lovely room upgrade.